2018-01-13 20:53:04,813 ERROR  eWay.WebAccess.Presentation.Web.Full.Site.Global: Unhandled exception. System.Web.HttpUnhandledException (0x80004005): Byla vyvolána výjimka typu System.Web.HttpUnhandledException. ---> System.ArgumentException: Roles for the user with ID '3f614fff-f88e-11e7-82f0-00051ba71291' were not initialized. 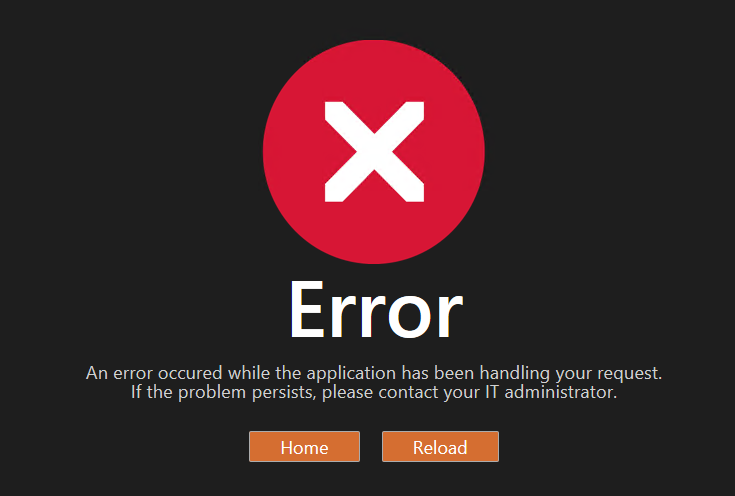 This may happen when the account that the web access uses to connect to the web service is not configured correctly. Please ensure that access to all system tables is granted. The error in log is related to the fact that newly created user has no role set. But in Administration Application, even newly created user has at least System role. The possible cause is fact that Web Access was not restarted after changes in Administration Application. It is necessary that administrator restarts Web Access after changes in Administration Application. Restart can be done by administrator (admin) right from the Web Access. Go to Settings > Maintenance and there is Restart button. If you click the button, Web Access loads new settings from eWay-CRM and user will be able to login using Web Access.